It's cold and it's the holiday season, therefore hot toddies are in order. When trying to decide on a recipe to share on Sweet Peach, I headed over to my neighborhood pub, H. Harper Station to see which was their go-to favorite. 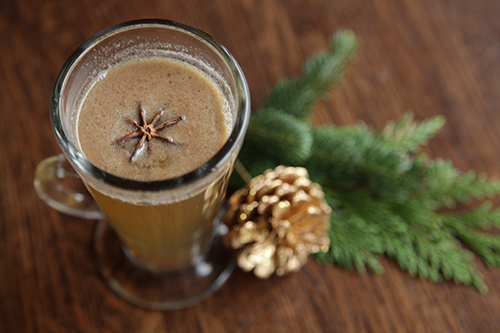 Sommelier, Krista Mason whipped up this warm and tasty toddy using housemade tea and syrup. Delicious and worth the extra effort... Thank you Krista!